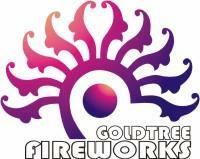 Goldtree Fireworks Export Co., Ltd. was established in the year of 1998, who's a professional manufacturer and seller in Liuyang,China. Our company has passed the International ISO9002 Quality Certificate System in 2000. We owned Goldtree Fireworks Export Factory here, which is one of the largest factory in the fireworks industry. We have more than 1,000 workers in the factory, and most of employees have over 5-years fireworks producing experiences. All of our technicians have over 15-years fireworks experiences, they are good at researching and designing different fireworks performances according to Customers requests. They are very skillful for producing Assortments, Cakes, Candles, Fountains, Shells and so on. We are proud of that our factory have over 21,000 cartons of monthly throughput. Our company include Export Department, Domestic Sales Department, Packing Department, Quality Control Department, Large Display Department and Finance Department. Especially, We would like to introduce Export Department and Quality Control Department to you. We have 10 employees in Export Department and everyone has many years of experience for foreign trade and clients' service. Meanwhile, we own a professional inspection team. As they must be with responsibility for every items' quality, they would be strictly check fireworks quality after every production. We adhere to the principle of QUALITY FIRST all the time, so we can make sure our products' quality is excellent. We can supply professional and comsumer fireworks include 2"-16" display shells(or Cylinder), Fibreglass Mortar Tube, Display Cakes, Rockets and all kinds of small items. Meanwhile, we are good at producing series of fireworks assortments. Since the year of 1998, we have begun to manufacture fireworks assortment. We supplied series of assortments for America and Europe Market for over six years. We have rich experience for consumer fireworks, such as Fountains, Cakes, Reloadable Shells, Roman Candles, Smoke, Smokeless, Wheel, Novelty, Firecrackers, Rockets, Missile, Waterfalls, Stage Fireworks, Snaps, Party Popper, Music Candle, Confetti and so on. In our business with merchants of various countries, we always adhere to the principle of equality and mutual benefit. It's our delight to welcome you from afar to visit our comapny and talk business with us. We sincerely hope to promote, by joint efforts, both business and friendship to our mutual advantage.